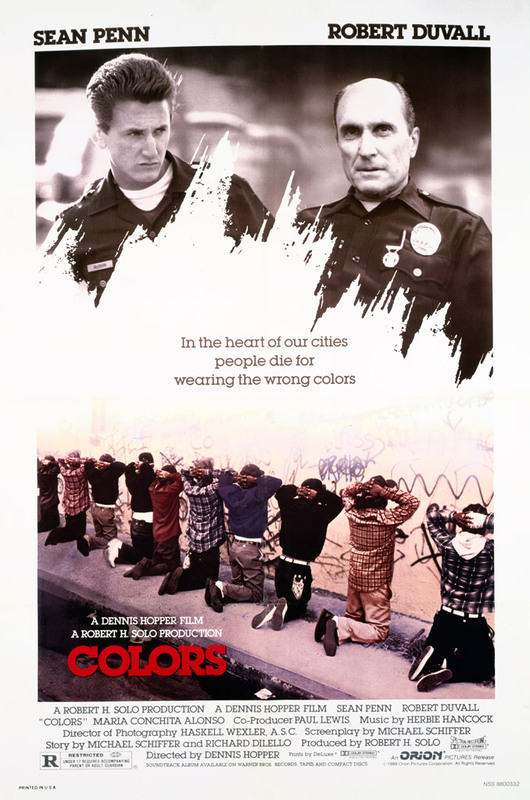 Set in the East L.A. barrio, film stars Sean Penn and Robert Duvall as very different cops, both in age and temperment, hand picked for the city's anti-gang campaign. As partners, they daily drive their unmarked car through the warring Los Angeles neighborhoods. Their simple code of endurance: Keep peace in the streets at any price!